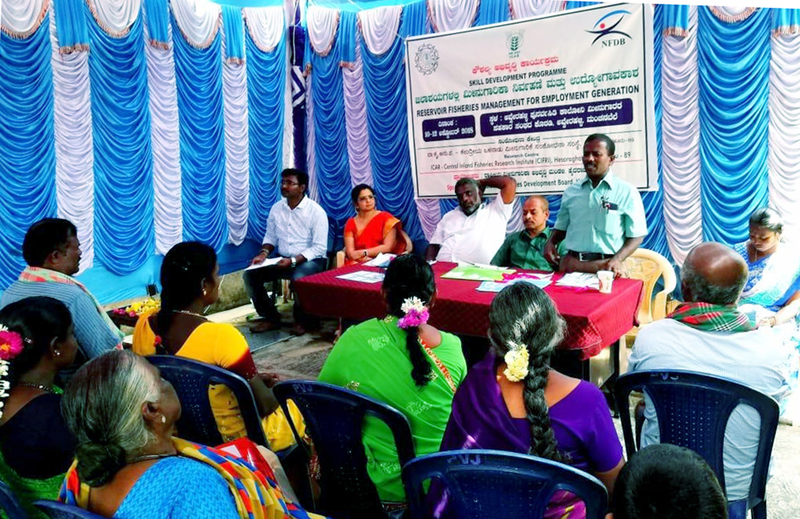 ICAR-Central Inland Fisheries Research Institute, Research Centre, Bangalore,inaugurated three days Skill development programme on “Reservoir Fisheries Management for Employment Generation” sponsored by National Fisheries Development Board, at Averahalli Village, Magadi taluk of Ramanagara district on 10 th , October 2018. The programme was planned under the guidance of Dr. B. K. Das, Director, ICAR-CIFRI, (Course Director), Dr.Preetha Panikkar, Principal Scientist and Officer In-Charge, CIFRI, Bangalore (Course Co-ordinator). 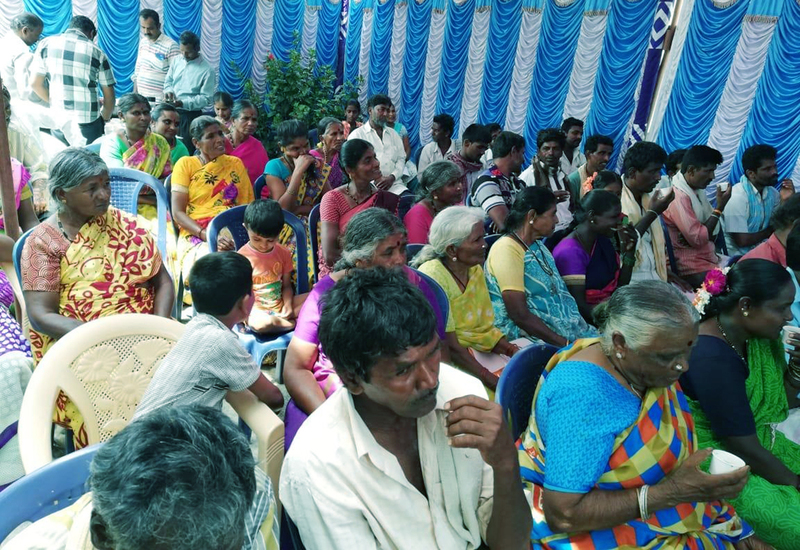 The programme was attended by fishers and fish farmers of Averahalli village. Dr. B. V. Krishnamurthy, Chief Scientific officer, Inland Fisheries, University of Agricultural Sciences, Bangalore, inaugurated the programme by lighting the lamp followed by inaugural speech. He emphasised that reservoir has great potential and utilization of this vast water resources through culture-based fisheries, introduction of freshwater pearl culture and aqua-tourism will help in generating alternate income to the fishermen. Mr. M. Feroz Khan addressed the gathering during inaugural session. Mrs. Ramya. V. L, Mrs. Jesna. P. K and Dr. AjoySaha (Co-cordinators) cordinated the programme. Mr. M. E. Vijaykumar proposed vote of thanks to the gathering.